Written press, photo agencies and radio stations who are not broadcasting the game or connecting live to the game must send a corporate e-mail from their media outlet addressed to premsa@fcbarcelona.cat ten working days before the day of the game, with the exception of the Barça-Real Madrid fixture which must arrive 30 days before the game. The request must come from a director, sports editor or another editor. Under no circumstances will requests be accepted from e-mail accounts such as Hotmail, Gmail etc. Non-rights holding Spanish TV stations and radio stations broadcasting the game must request accreditation from the league at acreditaciones@laliga.es and international TV companies must apply to Mediapro at acreditaciones@mediapro.es. The media, with the exception of rights holding TV companies, must send a corporate e-mail from their media outlet addressed to premsa@fcbarcelona.cat ten working days before the day of the game. The request must come from a director, sports editor or another editor. Under no circumstances will requests be accepted from e-mail accounts such as Hotmail, Gmail etc. The time it takes to process the request can vary according to the level of demand in each of the different press areas: press box, pitchside, press room and Mixed Zone. Requests received after the deadline will not be considered and we advise contacting the Communications Department to confirm that the request has been received and processed. 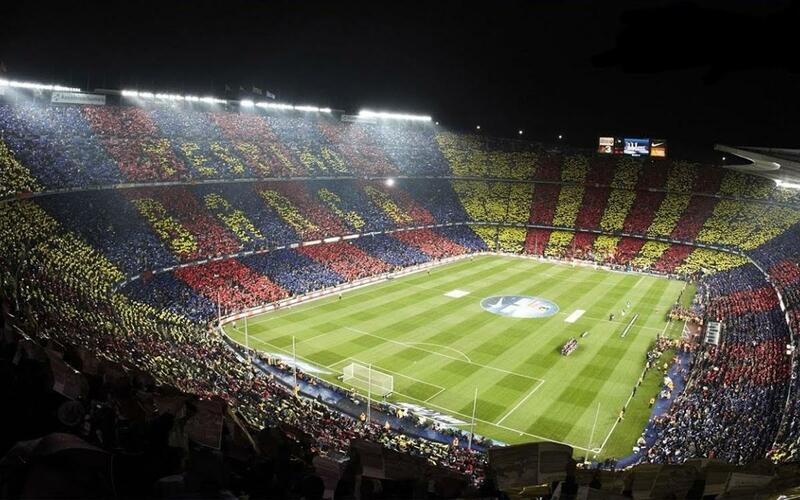 Sending a request does not guarantee accreditation for the first team’s matches at Camp Nou. Accreditations can be collected on the day of the game from the Accreditation Centre situated at Access gate 14.